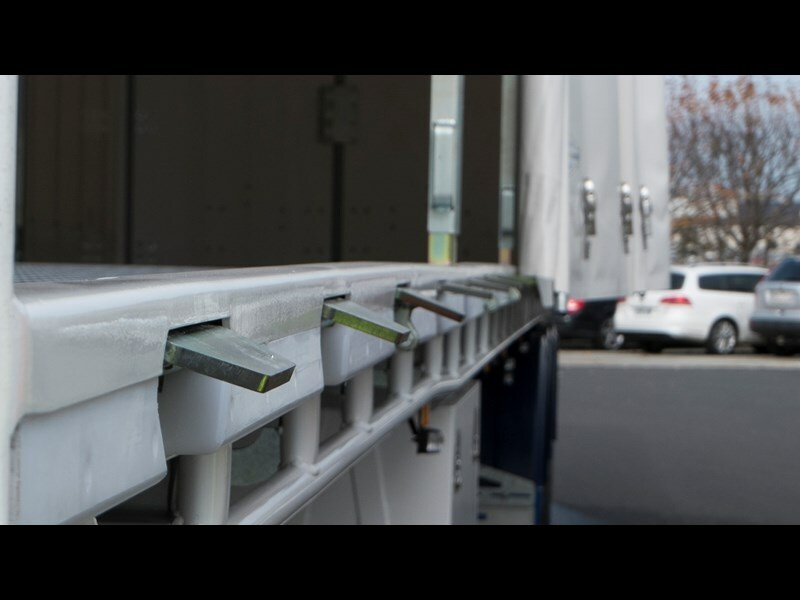 Freighter unveils new trailer with auto-fastening load restraint curtains. Freighter has just unveiled to the media a neat new tautliner trailer design which has load restraint curtains that can be fastened automatically to save time. Instead of manually tightening each buckle, the new AutoHold trailer uses a pneumatic fastener system that pulls the curtain taut against the trailer at the press of a button. Freighter general manager Mario Colosimo was quick to point out that if no air is available a driver will still be able to fasten the curtain manually with a spring return. This is a handy failsafe to prevent a driver being stranded on the side of the road, unable to close his trailer curtains. We had the chance to see the Autohold in action first-hand, and the ease of operation was impressive. During the course of shooting our upcoming video feature on the trailer, we witnessed the fastening and unfastening of the curtains upwards of a dozen times, and it did the job without fuss. As the day progressed and the Melbourne weather took a turn, the Autohold got a chance to prove its windy weather credentials. As promised, it functioned virtually the same in both environments. The sequential fastening system combats the flapping-curtain issue by catching the curtain from the outside first before progressing towards the middle of the trailer. This system also ensures that the curtain will work fine on a slope. 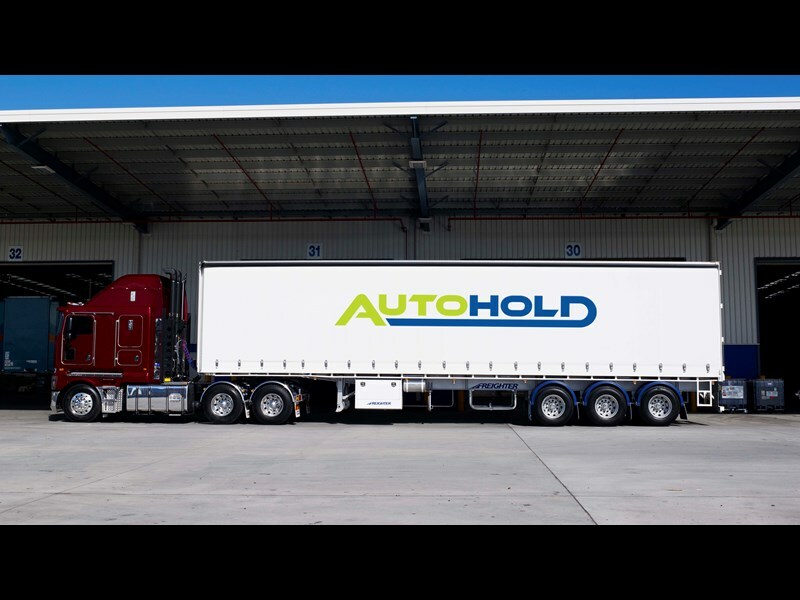 The Autohold trailer comes with the option of with buckles or without. The buckles are not expected to be used often, but they allow for simple adjustments that would otherwise require a workshop to accomplish with the no-buckle variant. Of course, without buckles the trailer gets an aesthetic advantage, particularly with operators using curtain graphics. Keep an eye out for our forthcoming video that showcases the trailer in action, and see the full feature on the Autohold in an upcoming issue of Owner//Driver.